If you need the XMOS USB asynchronous IC 24bit/192k, plus $27 USD to get it. This is one of the best DAC with very good chips combination, It based on PCM1794 high performance DAC chip and CS8416 SPDIF receiver and TE7022 USB receiver with 24bit 96Khz sampling rate. 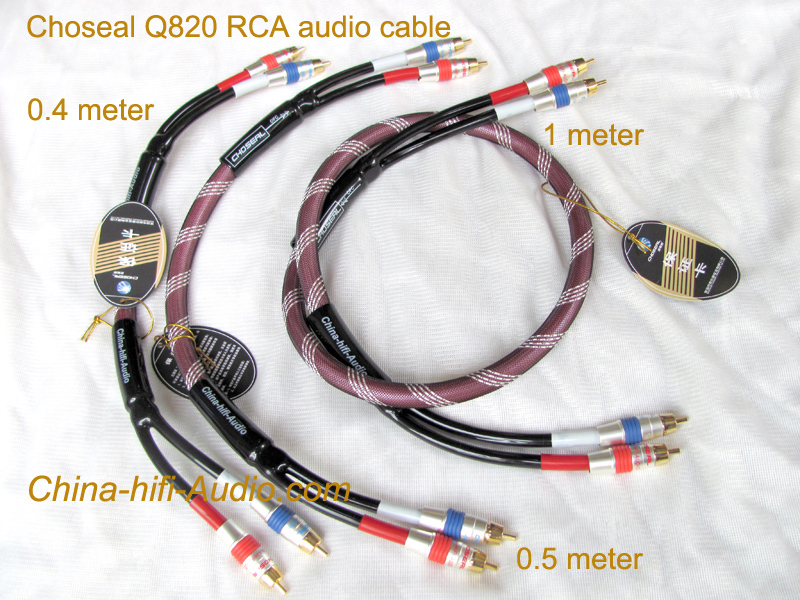 Support 24bit 192Khz sampling rate via coaxial optical input, USB input support up to 24bit 96Khz sampling rate which is far better than the other 16bit usb receivers. With integrated TPA6120 hihg performance headphone amplifier, Can drive 32 ohm to 600 Ohm headphones. 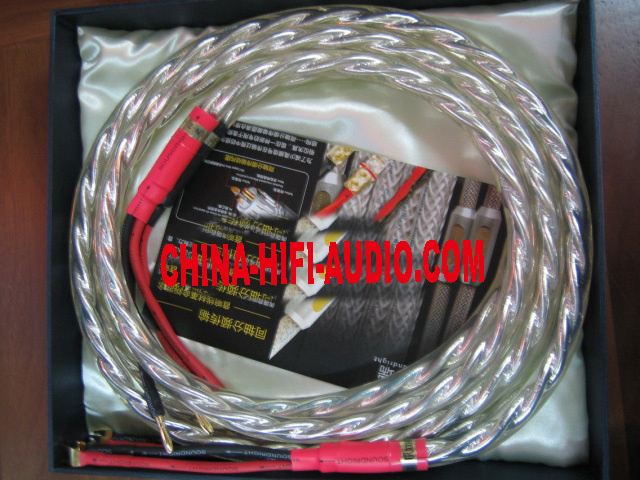 Has two ways of output, Direct output and 5670 tube buffer output, Can match for both of solid state amplifier and tube amp. TPA6120 headphone amplifier inside which is the best headphone amp chip. 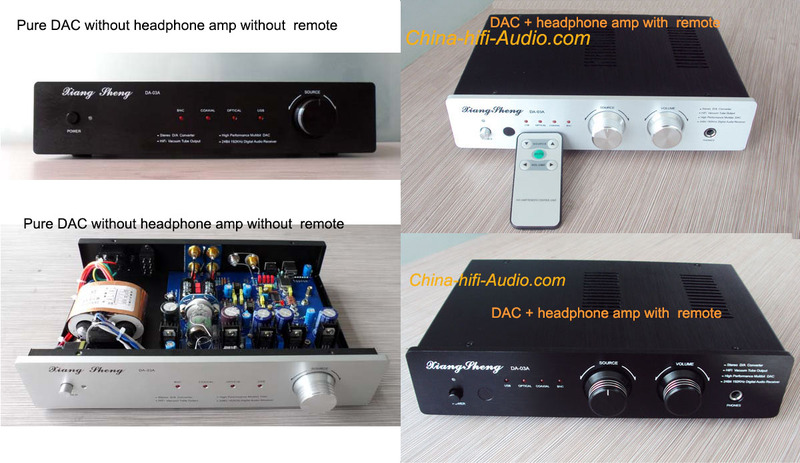 There is two versions of the XIANGSHENG DA-03A, one version is DAC + Headphone amplifier with remote, one version is Pure DAC without Headphone amplifier without remote. The WITHOUT Headphone amplifier version use high performance PCM1794 DAC core chip,The best DAC chip from Burr-Brown,One of the most popular DAC chip. CS8416 digital receiver from CIRRUS with 24bit 192Khz sampling handling ability. The one with Headphone amplifier version use high performance AK4495 DAC chip, the best DAC chip from AKM,One of the most popular DAC chip. AK4118 digital receiver from AKM with 24bit 192Khz sampling handling ability. 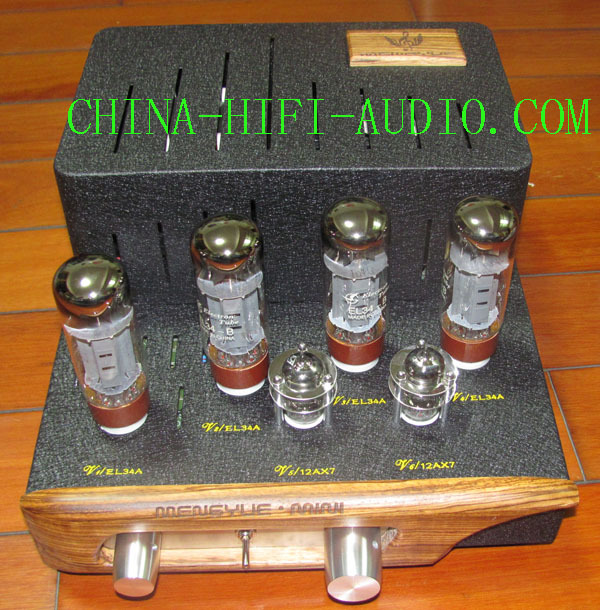 Tube buffer stage is based on NOS 5670 tube from GENERAL ELECTRIC, Add tube sound to the sonic, DC supply for filament and plate to eliminate noise. Using many high quality components to meet audiophile's listenning, DALE resistor from USA and NIKKOHM resistor from JAPAN, WIMA caps from GERMAN, SOLEN coupling caps from FRANCE etc, That make the DAC reproduce neutral & no color added sound,Also great analysis and great atmosphere. Using oscillator to lower jitter of USB input. 115V/230V high quality R-core transformer with less electriomagnetic leakage and higher efficience. Separate power supply for digital section and analog section. Come with remote control, Input selection/ volume up& down / mute can be done with it, Has memory function, Can load the previous setting when power on.